As I mentioned in my previous article, I fall in love with Orly nail varnish. So here is another trial. 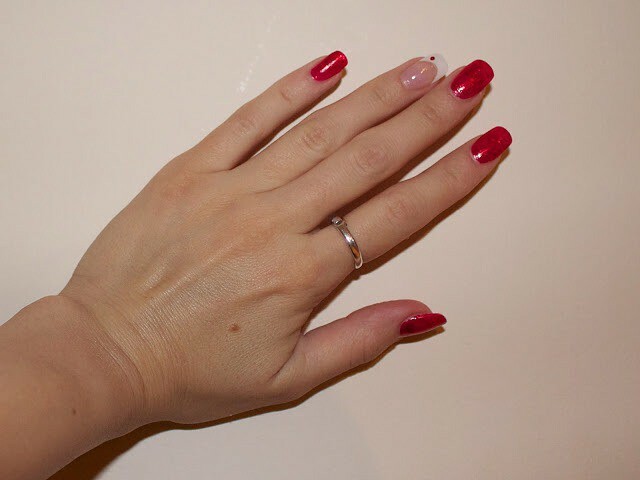 This time I used two layers of Orly – Last Dance red nail polis, that has lovely glitters on all nails except ring fingers. 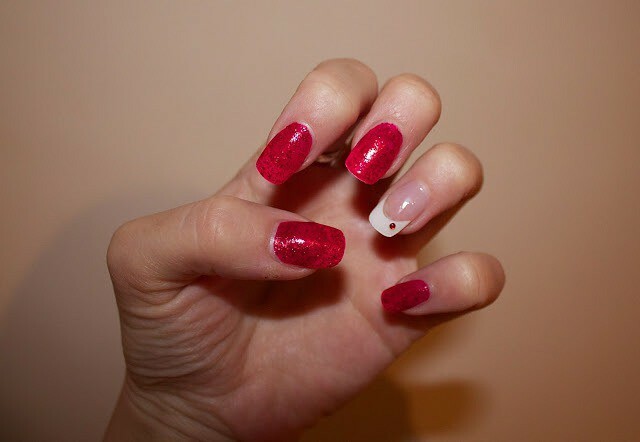 I left French manicure on those and glued red rhinestones on a top corner.